Just because you are holding a shield, does not mean that the enemy will not attack that side. Go protect yourself with the Crisso Shoulder Harness. 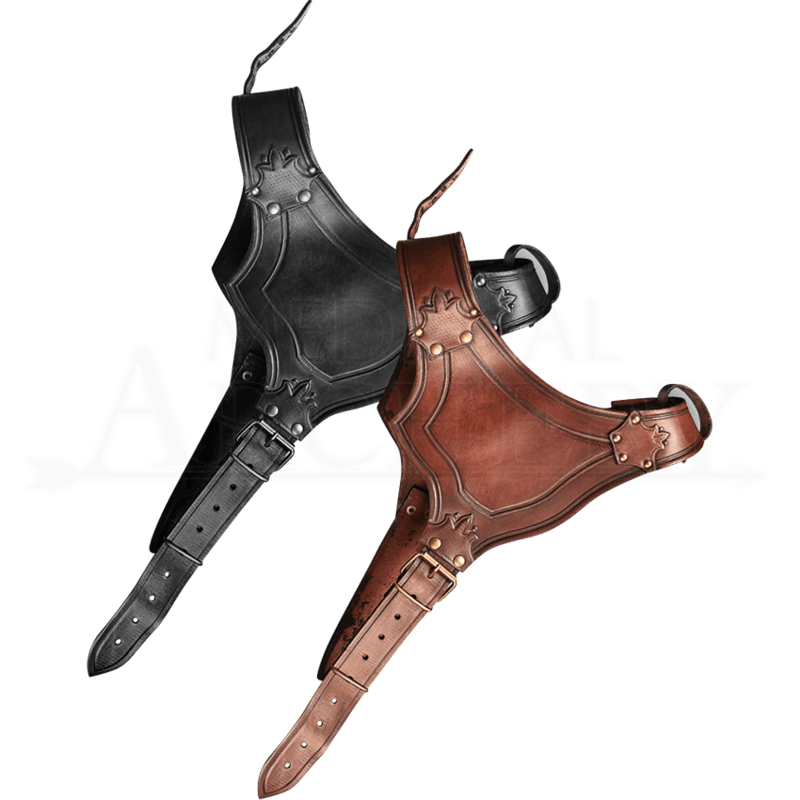 It comes in brown or black to blend in with other leather armour. 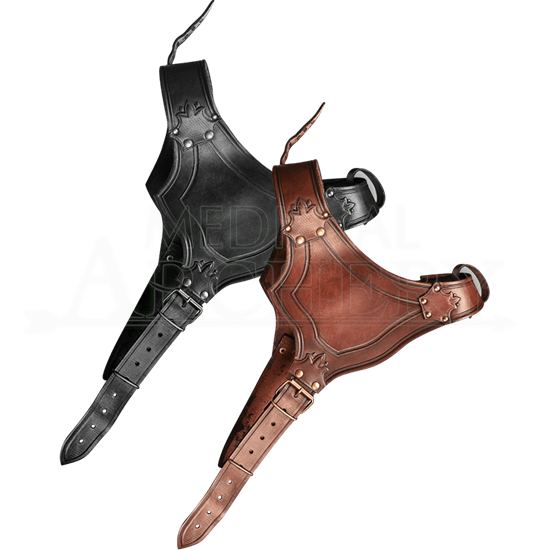 Designed to be attached to pauldrons, the top section has two straps. The harness closes underneath the right arm with another strap and buckle. Decorative embossing and riveting adorn the premium leather harness. This harness is designed for only the left side of the torso. It is a great addition to a fantasy or historical costume for a convention or faire.